Hi there! I'm working on building up my birthday card stash. My collection has dwindled a bit and it's time to get some cards made. 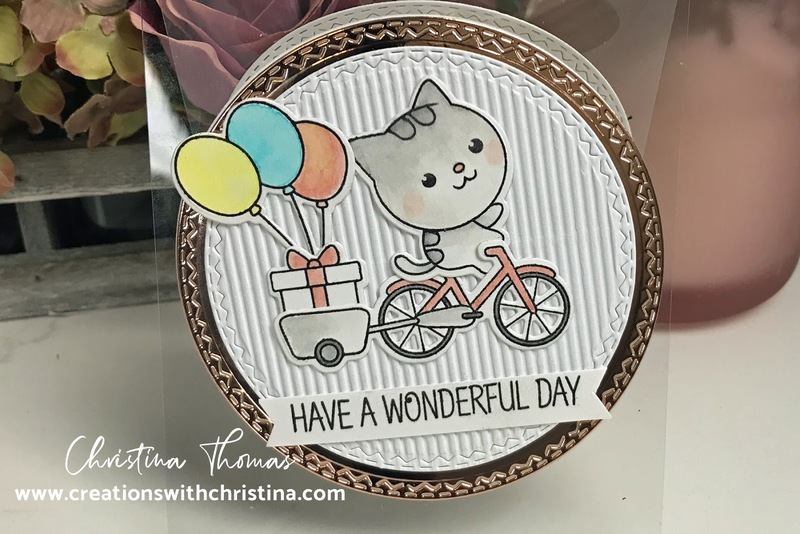 I was working on putting some stamp sets away and came across this set by Clearly Besotted "On your bike" and was inspired. 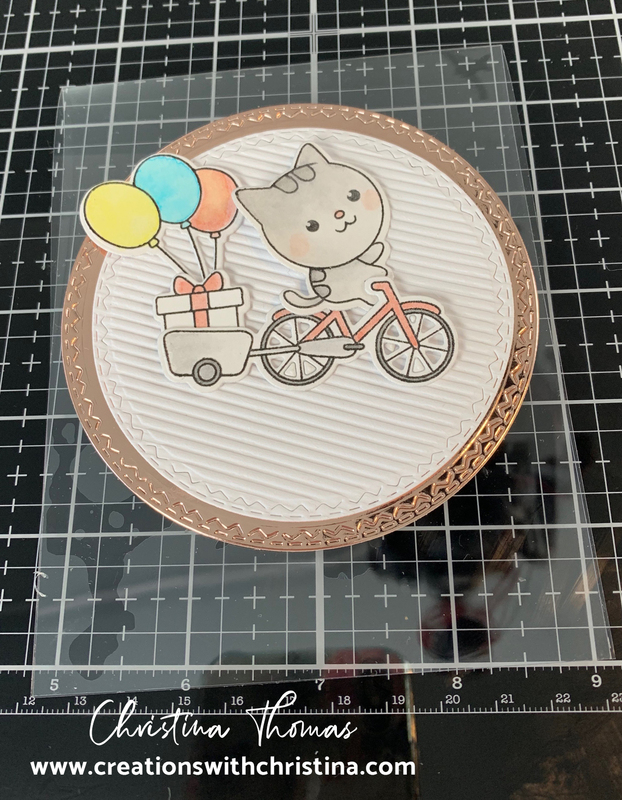 The card base is made with acetate and measures 4-1/4" x 5-1/2". 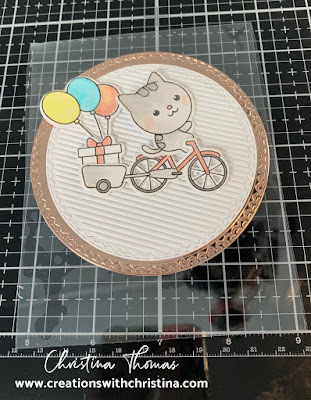 I used the same corrugated cardstock with the Stitched Tim Holtz circle die from last weeks card and added a larger circle of Platinum Rose cardstock. I colored the images using Zig Clean Color Real Brush Markers. I covered the inside of the front panel with an extra piece of white cardstock cut with the same circle die and then used another piece for the front side of the back panel. 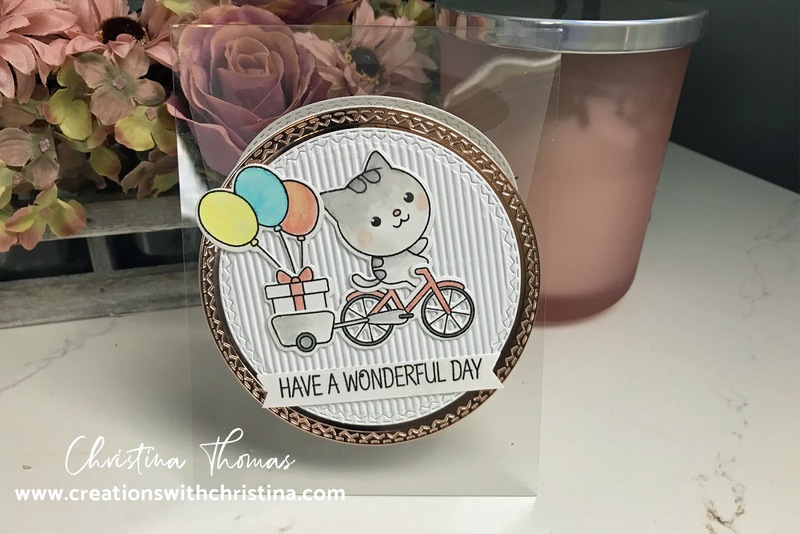 I added the sentiment from the same stamp set. Hi there. I am sooo behind in catching your videos. Sorry. Love this card; it's super adorable. I just made a bunch of Valentine's Day cards using Cricut's acetate and I'm finding they just don't stand as sturdy of another brand I had here by Recollections. Also, didn't notice until I put the cards together there's a film on the acetate that has to be removed before cutting. Well, I certainly didn't do that and it was fine. 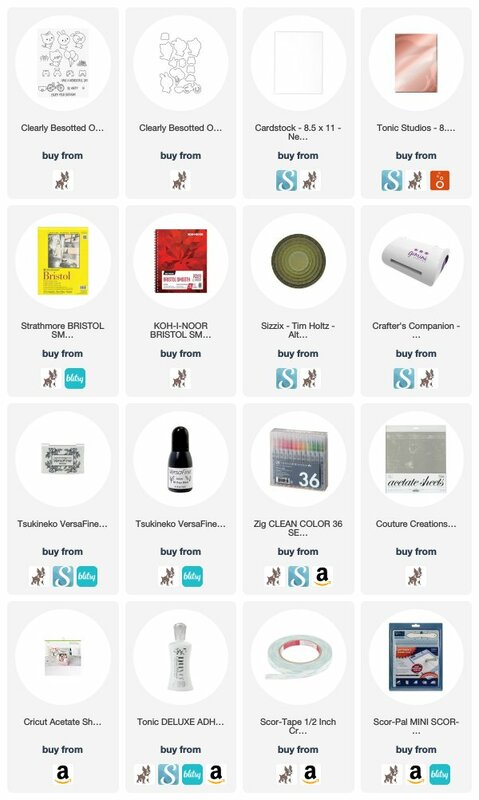 No wonder it wasn't as clear as what I had in my stash. lol. 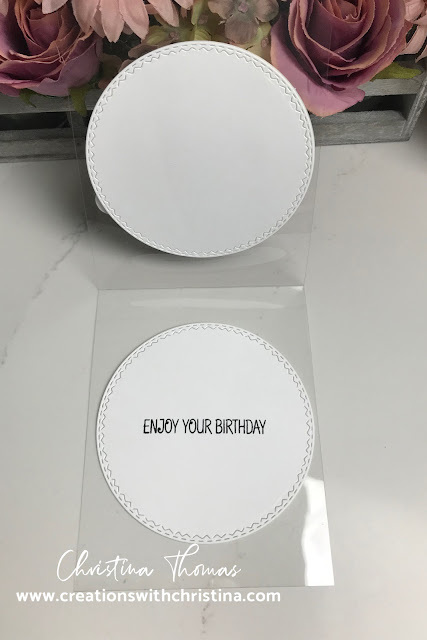 Just so you know, in case you get some Cricut acetate.